The warm beautiful waters of Miami await. The yacht capital of the world has just about everything a boater could desire. Start the day off right with a quick fishing trip along the pristine sands of South Beach as you troll for Wahoo and King Mackeral. Once you have landed the perfect fish pull your boat up to one of the dozens islands in the area and relax for the afternoon. As the sun starts setting, take your catch to a nearby dock n dine restaurant and have them serve it up the right way. Salt life is part of the Miami culture. 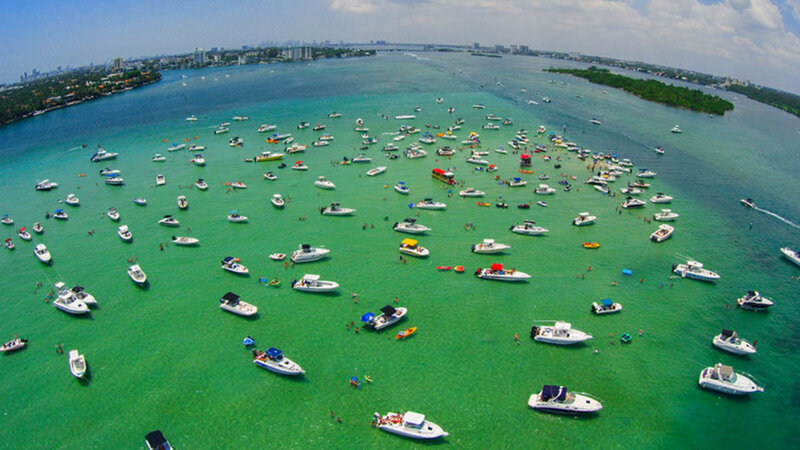 Nixon’s cove sandbar just south of Miami is a perfect spot to party on a yacht. 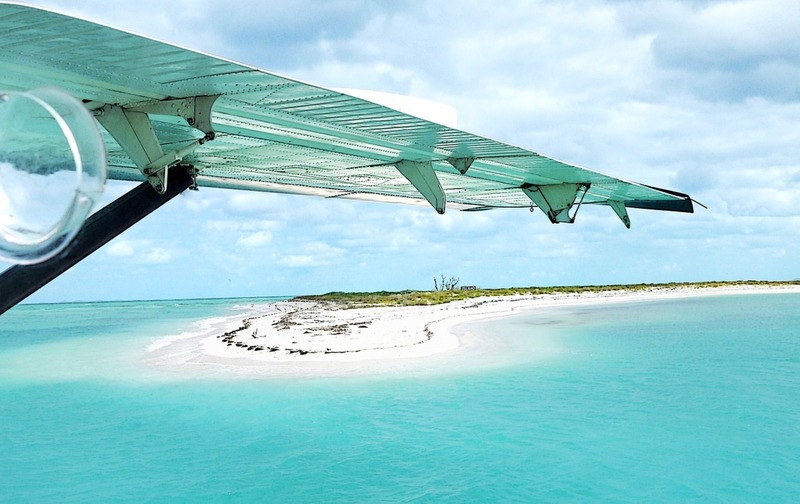 Just grab your shades, preferred beverage, and a couple of friends to have a fun filled day at the Key Biscayne Sandbar. On your way to the sandbar, you will enjoy the marvelous sights of the many Miami mansions and luxurious homes of the very rich and famous. You could take a dip in the water at the Monument island, jet ski around the bay, or get a workout on your kayak. Boat shows in Miami are surreal and entirely unforgettable experiences. There are quite a number of shows to choose from depending on the time of the event. A fantastic choice will be the Progressive Insurance Miami International Boat Show at the Rickenbacker Causeway on Virginia Key, which is the Super Bowl of boat shows with more than 700 vendors. 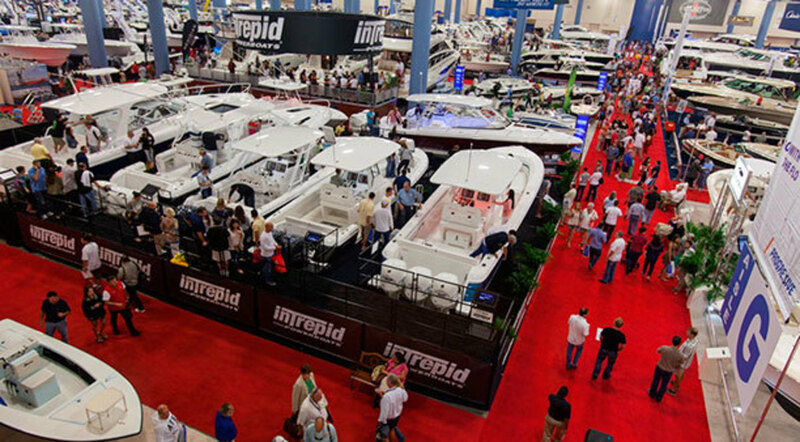 If that is a little too overwhelming for you, feel free to try The Annual South Florida Boat Show in May at the Miami Beach Convention Center. There is a reason why South Beach always is on the Miami postcards. All day long, this is a really fun place to be. 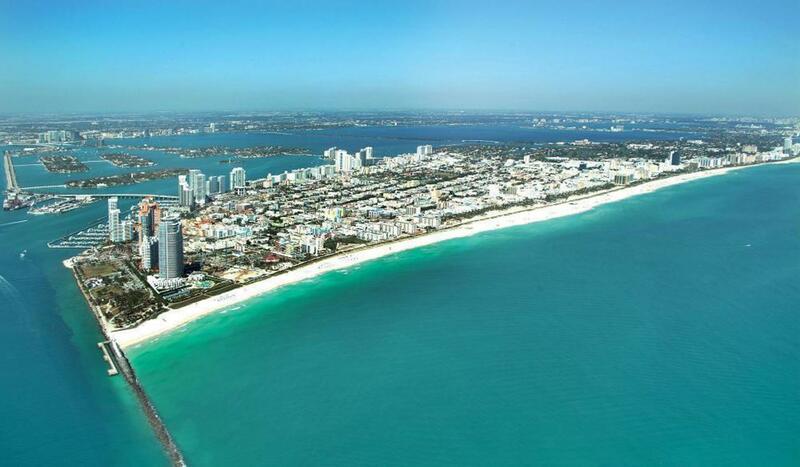 Whether you want to enjoy the beach or you want to go fishing at Haulover Park, South Beach has the most epic ocean views in the country that you can never get enough of. People of different walks of life come here and it is very fun to just to sit and watch the beautiful palm trees flapping in the wind and the numerous volleyball games taking place all over the beach. Taking part in a Miami poker run is a thrilling experience made for the brave and strong-hearted. 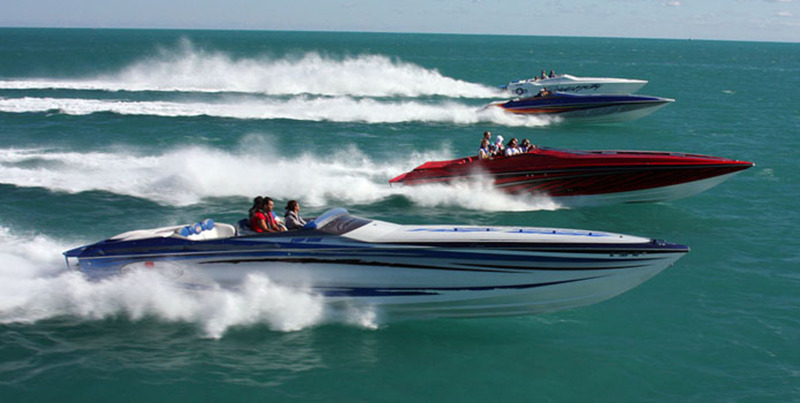 Boaters from all over the country take part in these runs in the Florida Keys that feature long rides in the Atlantic ocean, Gulf of Mexico and the Florida Bay Waters. The boaters draw poker cards along the route through the keys. Each boater will try to get to 5-7 of the locations to get the best hand possible in order to win the grand prize. Located on the Atlantic coast of South Florida, Biscayne Bay is a fantastic choice for a smooth yacht party and cruise. Occupying a stretch of more than 35 miles, you can spend the whole day on the water having a scintillating boat party and never getting bored. Starting your cruise from the Miami Beach barrier island is a fantastic idea then move along to the central bay which is the largest part of the bay and end the trip on the south bay where the water is at its freshest. Want to drop hook in a cove for lunch? Check out a reef and depart from the Miami crowds? Biscayne Bay is perfect for both of these: here along the mangrove shoreline lies a beautiful National Park with a marine wildlife ecosystem. Whatever your fancy, you can find it in Miami. Dock up at Sea Isle Marina at Miami Marriott Biscayne Bay, the Purdy Boat Ramp in Miami Beach or near the Ritz-Carlton Hotel at Coconut Grove and go ashore to see what the Miami nighttime scene is all about. The Florida Keys 120 miles off the Southern tip of Florida lies the islands of the Florida Keys, strung together with elaborate bridges and known as a fishing, boating, and scuba diving mecca. Take a trip here and in a few short hours you will feel worlds away from the Miami hustle. Take out a Carolina Skiff or Sea Chaser and head out for some offshore fishing. 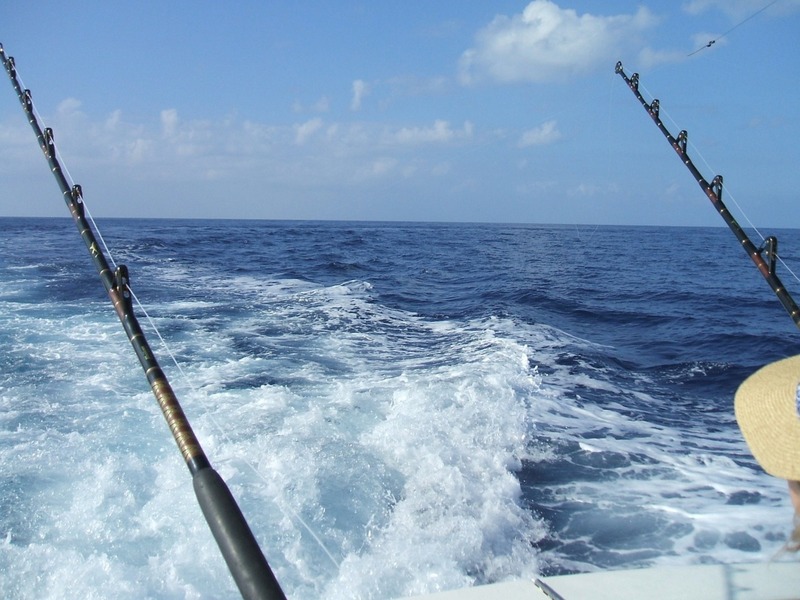 Just a few miles offshore, you’ll find world-class deep-sea fishing. A private boat rental with a licensed, local captain can guide you to the places where the big fish are hiding – for the fishing trip of your life!